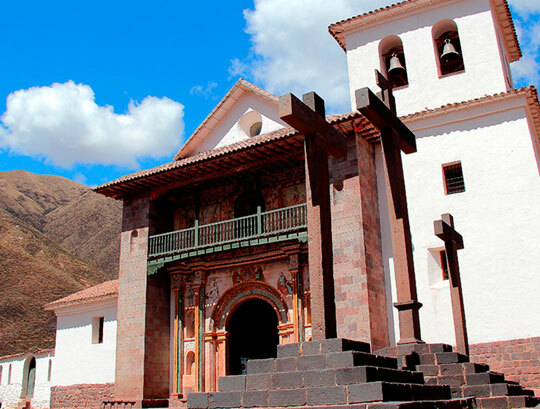 Pick up from the hotel, guided tour to three important places, we will begin with Andahuaylillas called the" Sistine Chapel of America ", (due to the quality of the works of art found inside) Andahuaylillas's Church, located in the Village of the same name, located approximately to 40 km (25 miles) to the east of Cusco's City to an altitude of 3100 mts. (10170 feet). A walk along its Main Plaza that is adorned with "pisonay" (trees of coral) and palm trees. 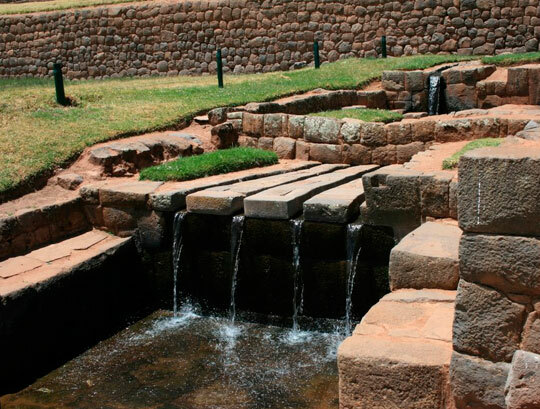 We continue our tour to the Archaeological National Complex of Tipón, located eastward of Cusco City; covering a territory of approximately 2200 hectares. The original Quechua name is not known. 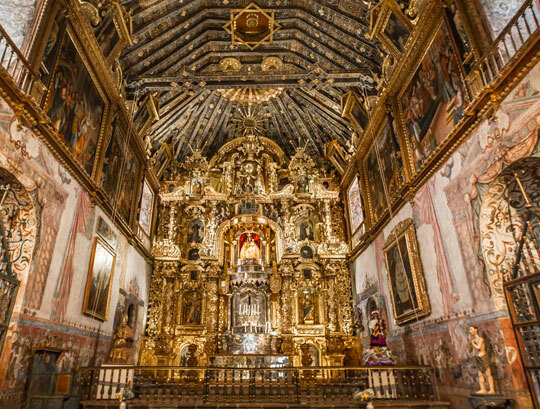 There can be seen diverse groups of royal rooms that were constructed by the Inca Wiraqocha as a mansion and refuge for his father Yawar Wakaq. These groups of villages are located at 3500 mts. (11480 feet). In additions there are 12 terraces very fecund that nowadays are cultivated, which walls were well constructed. Even more impressive is the system of irrigation that are still serving to the agriculture and the advantage being the water capture on the spring station. They have worked the stones that the river channels finely calculated and sometimes with falls almost vertical that quite united constitute a work of hydraulic engineering. Some fountains should have had ceremonial functions. Due to its situation and the presence of a surrounding wall Tipón there must be been a very exclusive site. Towards the Southwest of this group, in the highland almost vertical surface there is the cemetery named as "Pitopuqyo" that today has plundered tombs. In this place there were big quantities of cultural vestiges, nowadays it is possible to find many pieces of broken ceramics. 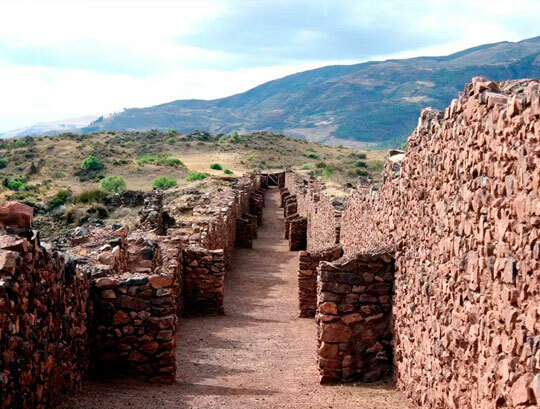 To finish the tour, guided visit to Pikillacta's Archaeological Complex that covers an area of 3421 hectares (8453 acres), and is located in Quispicanchis's province, eastward of Cusco City approximately to 32 km (20 miles). On the way it is possible to see a wonderful sight called Wakarpay's lagoon located at approximately 3200 mts. (10500 feet). 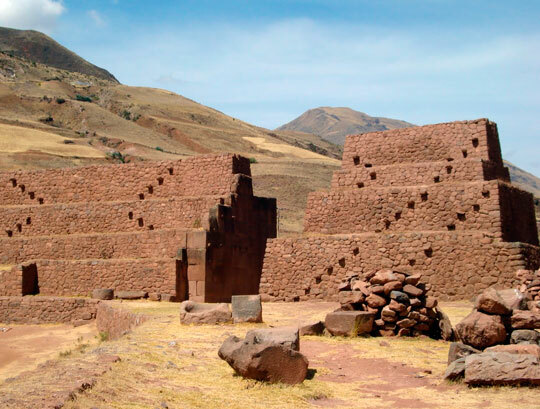 "Pikillaqta" is a Quechua compose word that means " town of the flea " (piki = flea; llaqta = town); Nevertheless, this is not the original name of the principal site, its previous name is not known; though, many chroniclers refer to this zone with the name of "Muyuna", "Muyna" o "Grudge". It seems that the site was called "Pikillaqta" from the last colonial years or at the beginning of the republic; Pikillaqta located to 3350 mts. 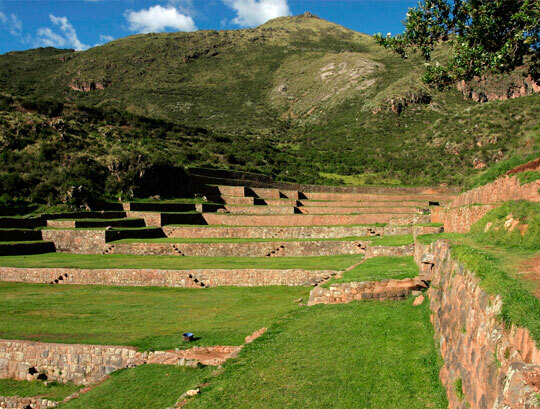 (11000 feet) and it was part of Wari Culture developed in current Ayacucho. End of the Tour and return to Cusco City.